I had this tattoo, my one and only, done 4 years ago. I wasn't happy with it after I removed the bandages as the lines are quite wonky (I'm not sure if you can see just how bad from the image) but I've never been back to have it sorted in fear they would make it worse! 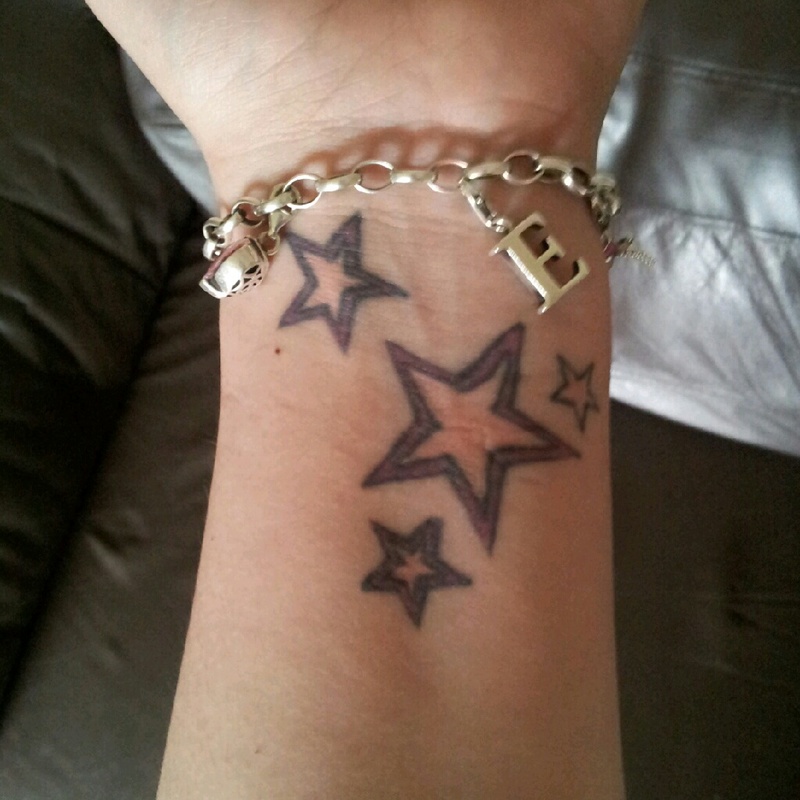 A friend showed me her new wrist tattoo today which was lovely so I sent this pic of mine to her and it made me think I really need to get mine altered! I would be terrified to even walk into a tattoo parlour but I do think about it a bit.